Home Speak English HinKhoj is part of Google’s Indian Language Internet Alliance! HinKhoj is one of the members of the Google’s Indian Language Internet Alliance (ILIA). This alliance has been created to develop and promote regional language content and technology for the Internet. The main objective of the ILIA is to bring 300 million Indians online by 2017 and to promote the growth of Indic language content online. Other members of the alliance includes Jagran Prakashan Ltd, ABP News, Amar Ujala Publications Ltd, C-DAC (Centre for Development of Advanced Computing), DB Digital, Firstouch, Times Internet Ltd, LinguaNext , NDTV, Network 18, Oneindia.com, Patrika Group, Prost Innovation Pvt Ltd, Process Nine Technologies, Reverie Language Technologies, Ver Se Innovation/NewsHunt and Webdunia.com. 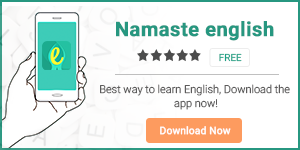 In this context Google launched a website www.hindiweb.com to help Hindi-speaking Internet users discover Hindi content across websites, apps, videos and blogs. It also informed that it has plans to launch similar tools for other major Indian languages like Tamil, Marathi and Bengali soon. Previous article5 million App downloads!